Visit to Avanti School in Leicester, ISKCON London, ISKCON Leicester, Bhaktivedanta Manor and more! HG Jai Nitai Das and the devotees of ISKCON London gave the TOVP team a grand Vaishnava welcome! Huge fund raising event in the Manor. HG Praghosa Das and the TOVP UK team would like to congratulate TOVP facebook page for achieving a quarter of a million likes today! At every event HG Jananivas Prabhu makes an effort to talk to the devotees and enquire about their spiritual life and encourage them. 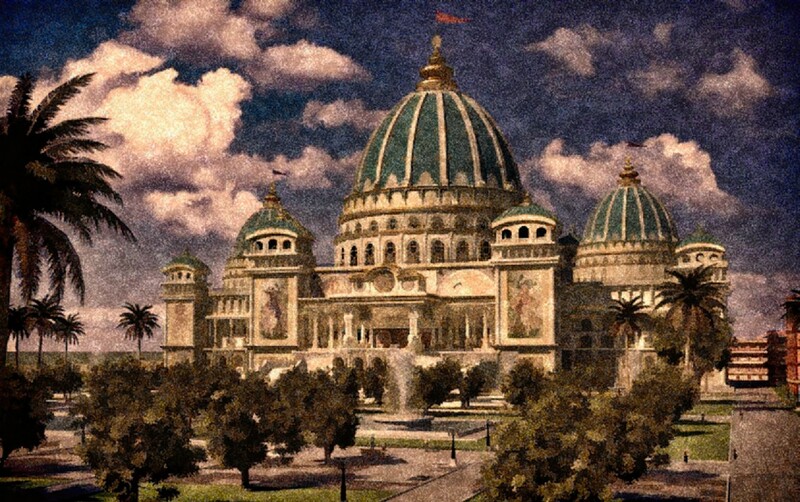 He loves telling them about the glories of Mayapur. Many devotees made an effort to attend the fundraising events to receive the blessings in the holy month of Kartik. By just taking darshan of the Sitari and Paduka one can have their minds, heart and eyes purified. 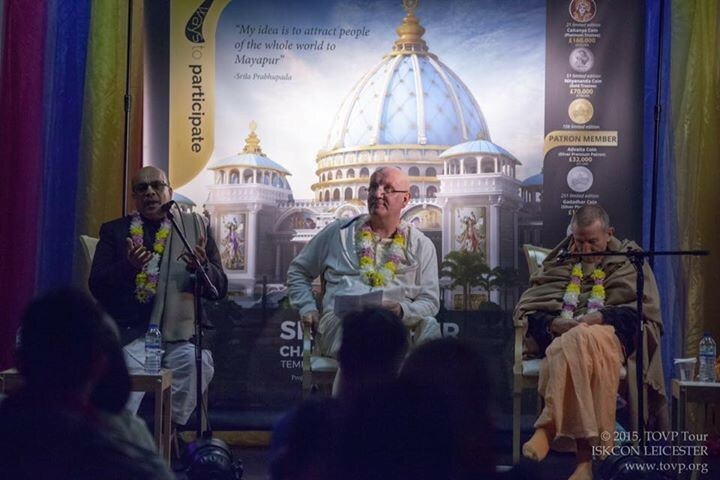 TOVP UK TourHG Jai Nitai Das and the devotees of ISKCON London gave the TOVP team a grand Vaishnava welcome! TOVP UK TourLord Nityananda's Paduka arrive in Leicester in the home of HG Visnumoorthy Das, Mina Mataji and baby Nitai.